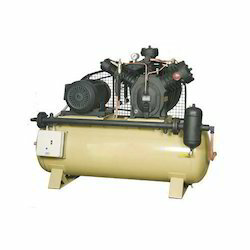 We are a leading Manufacturer of reciprocating compressor spares from Ahmedabad, India. We are an acclaimed name in the market, engaged in presenting a superior quality array of Reciprocating Compressor spares. We have complete range of Atlas Copco compressor spares for AB series, LE/LT 2-20, GX 2-11, gar 5-37, GA 5-11, GA 15-22, GA 200-500, GA VSD series and GAE/ GAE VSD series model. In addition, our product range also comprises of air compressor filters, air compressor sensors and air compressor valves. Entire parts are developed and designed adhering to defined international industry standards at our vendor’s end.